See the page on Hernias for a general discussion on causes, types, treatments, etc. 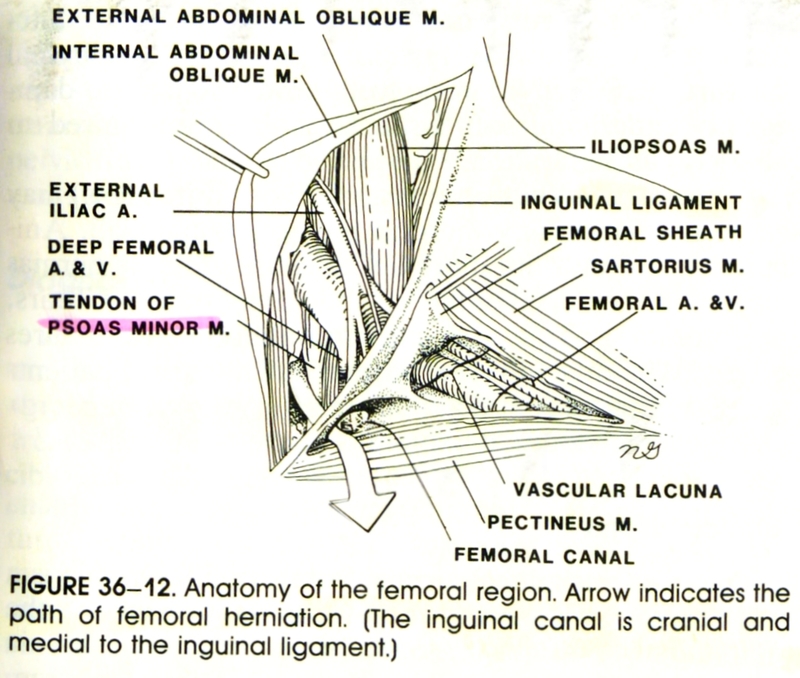 Ligate the hernial sac as high as possible in the femoral canal. Please schedule an appointment with our board-certified surgeon, Dr. Jeff Christiansen at the clinic of your choice, to discuss hernias and surgery to improve your pet or patient's length and quality of life. If you have additional questions, please feel free to e-mail Dr. Christiansen directly.